With so many advances and breakthroughs in the world of technology, it becomes very hard to follow the latest trends and to be able to identify the tech that’s worth your time and money. In the waters of photography there is always one or two tech items dictating the trends. Whether it is something that helps us always stay ready to shoot a perfect photo or a gadget allowing us to shoot photos from bird’s eye view, there are plenty of trends in photography enabled by technological advancements. So, let’s see what those trends are. Cloud technology is slowly but steadily conquering the world of photography. The goal is to replace the old model where cameras have to store images in local storage, such as an SD card. A few months ago, Relonch introduced a new camera that looks completely the same as a standard DSLR cam, however, the photos taken by this camera are uploaded to the cloud storage via built-in SIM card. Another trend in photography dictated by both tech and circumstances is photo editing outsourcing. Professional photographers have a full plate every day with next to no time for photo editing. There are also the ones who don’t want to be bothered with learning about new photo editing tools, their features and how to apply them to their photos. 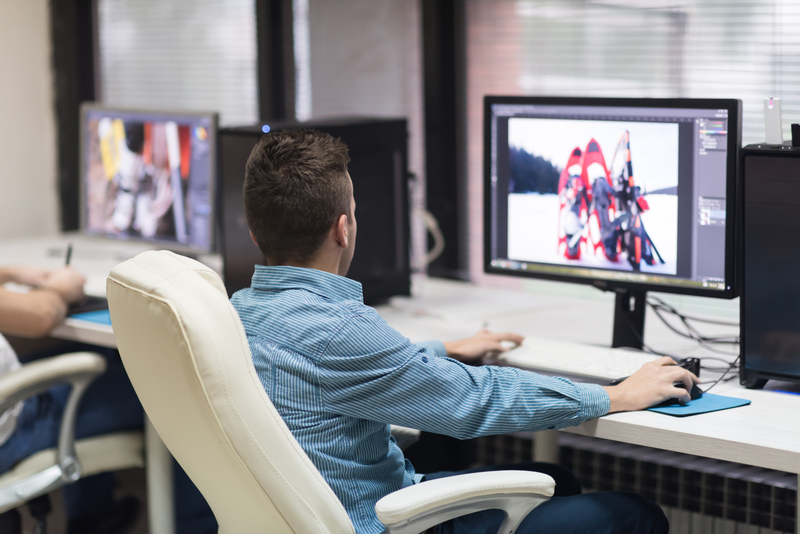 These two pressures, one from the tech side and another from the side of pressing deadlines and clients, have created a nourishing climate for companies specializing in photo editing. These companies have teams of smart, highly trained and experienced photo editors who are well-versed in image editing and restoration. Their photo editing services and smart photo editors are always looking forward to meet customer deadlines while providing a quality service. Wouldn’t it be handy to have everything in one device as a photographer? This would mean no more struggle with a large DSLR in your hands. Well, this might be possible thanks to Johan Godfroid, a tech designer from Belgium. He has created a system that significantly improves cameras found in smartphones. Johan’s revolutionary operational system is mountable to a smartphone device and it allows a user to capture 120 degree wide-angle images. Furthermore, this new system can capture infrared images. This way, photographers can capture photos with more depth and accuracy. Especially when taking photos of scenes including surfaces with high contrast. Drones are massively being used in photography and videography these days. They allow professionals to take astonishing bird's-eye view photos. And the drone technology is currently setting new boundaries. It seems that developers are trying to make drones that can move very fast and stay up in the air for longer than ever before. There are two drone models out there that deserve our attention. First one is the Hobbico C-Me. This one is the smallest photography drone out there. It’s size and price are adjusted to those photographers who don’t want to commit to larger and more expensive models. Hobbico C-Me weighs only five ounces and belongs to the ultra-small drone category, but it packs a full HD 8 MP camera. Another drone that deserves attention is Yi Erida. Made entirely of carbon fibre, Yi Erida is a drone that can reach up to 75mph and stay airborne for 40 minutes. It features tricopter design and can withstand temperatures as low as -15 degrees C. With the ability to reach maximum altitude of 6 km, this drone is capable of capturing the most beautiful photos. These are the latest tech trends in photography. However, since the tech is rapidly progressing, we can expect to see even more interesting achievements on the next CES in January of 2018. Until then, we can reap the benefits of all the cool gadgets that are already on the market.